Like many people I know these days, I’m feeling extremely overwhelmed by the chaos created by the current administration in Washington, DC. So many things happen 24-7/365 that each week feels to me as if I am living at the pace of dog years. Something that previously would have been a headline for weeks or months is now a headline for a couple of hours before we go screeching headlong into the next thing. At least that is how, in the second year of this presidency, the world feels to me. According to a recent article in Vogue magazine, “The current, fractured political climate is taking its toll on mental health across the country.”(1) It followed that by stating that members of American Psychological Association are saying that therapy sessions are inundated with Americans expressing angst and agitation about the state of the nation, and that was regardless of the “color” (red/blue/purple) of the state where the person lives. Like those therapists noted, this state of affairs is proving so stressful to me personally that the images that jumped out at me during my first week curating here at AU all made me feel calm and serene again…ah, yes, peace and quiet…a break from the news and the noise. Yes, that was just what the Dr. ordered! 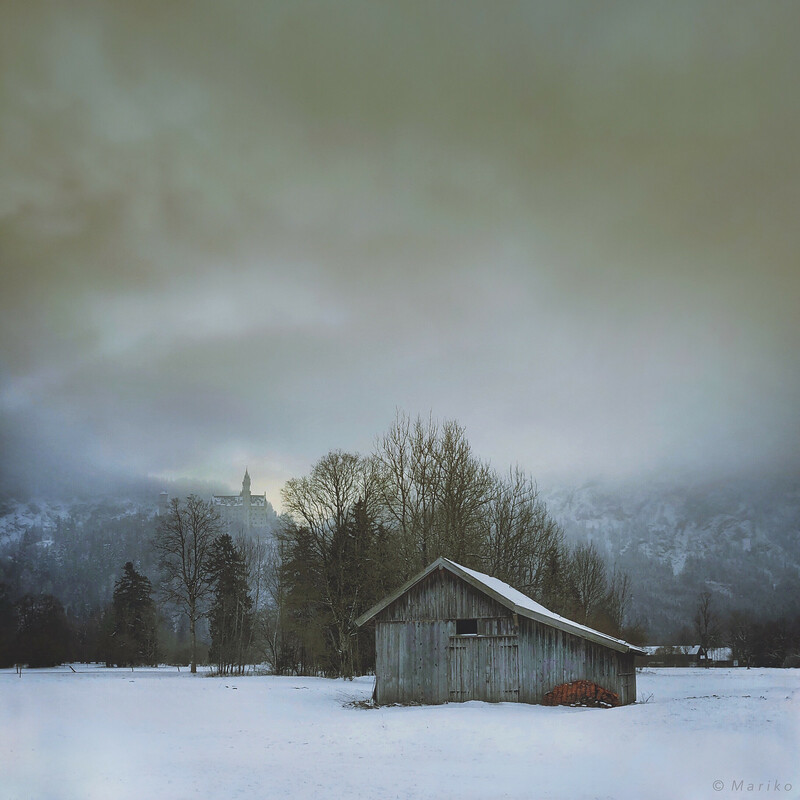 And so it was that these images by Vadim Demijanov, Mariko Klug, Guido Colla, Kate Zari Roberts, Lydia Cassatt, Janet Matthews, Wendy Borger, Al Yano, Karen Klinedinst, GR, and Karen Messick came to form this week’s selections. I tried to portray this as a journey to find and enjoy that peace as portrayed in their imagery. 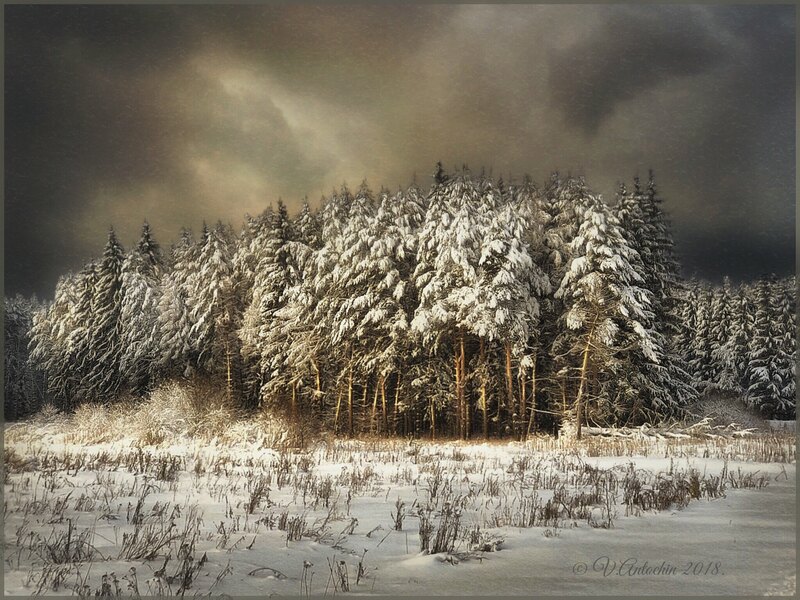 I lead off with the masterfully edited image by Vadim Demijanov because, despite my aversion to cold and snow, the image pulled me in so much that I could imagine myself standing just outside the frame, in the snow, admiring the beauty of the pine grove. I hope that the work of these photographers does the same for those readers like me, who are out there also feeling stressed and anxious. If you’d like your images to be considered for use in our weekly Apps Uncovered feature, upload them to our Flickr group and then be sure to list the apps you used to create your image. Consider adding the “backstory” describing your creative process, and be sure your photo is configured to allow Sharing / Embedding within Flickr. 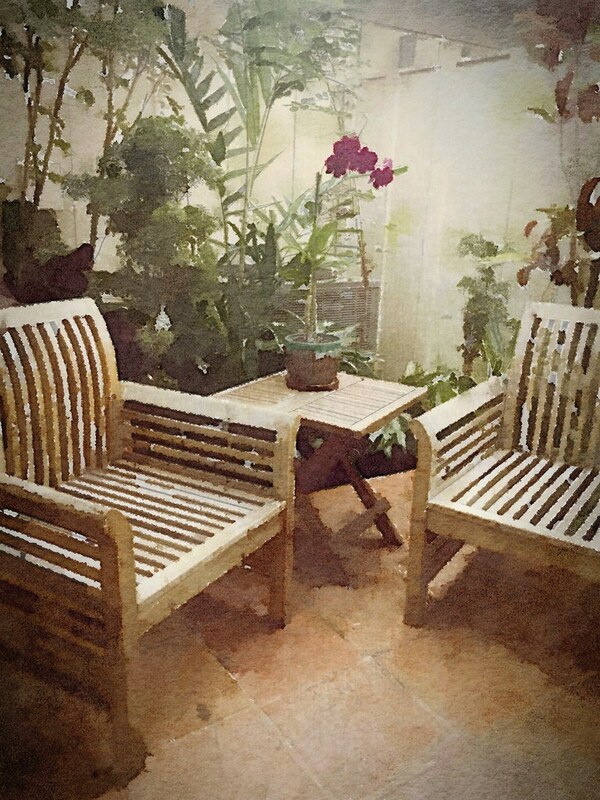 The treatment is minimal as ever I did in Snapseed and iColorama. Photo was taken with an iPhone X, edited with Snapseed, Mextures, and PhotoToaster. Recently I visited the famous Neuschwanstein Castle in Germany. The fairytale castle was used as the model for Disneyland’s Sleeping Beauty castle and is totally overrun by tourists (1.5 million visitors every year). I don’t like crowded places so I decided to admire the castle from afar. I found this little barn and liked the contrast between the pompous castle in the distance and the simple but yet beautiful old barn. For a short moment, the castle peered through the fog and I took this shot. Image taken with native camera of iPhone 6s and edited with Snapseed. 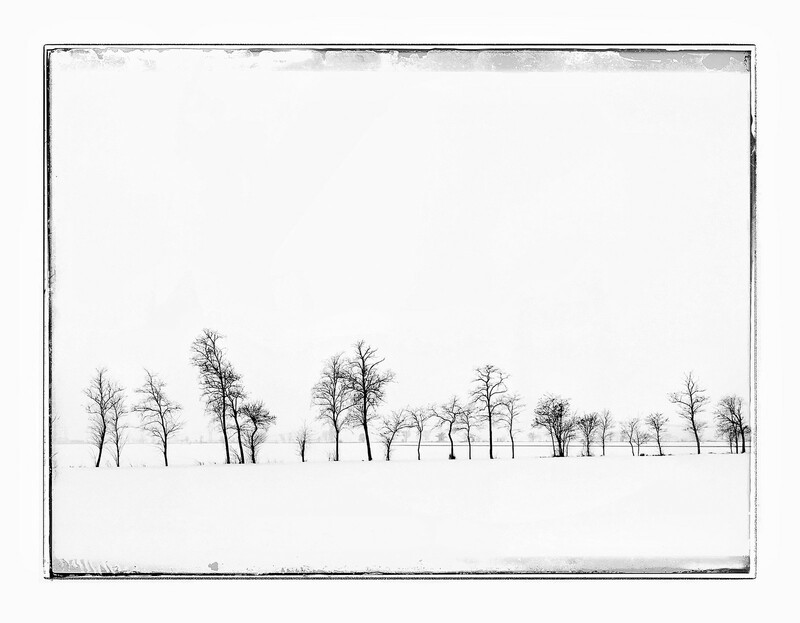 Backstory: Sunday with the snow and a row of black and bare trees rendered in graphical form with Snapseed. This image was shot with Hipstamatic and edited with James M lens, D-type plate film and Apollo flash. Sawhill Ponds is one of my favorite places to photograph, not only because of the stunning setting with the foothills as a backdrop but also the bird life and exquisite quietude. 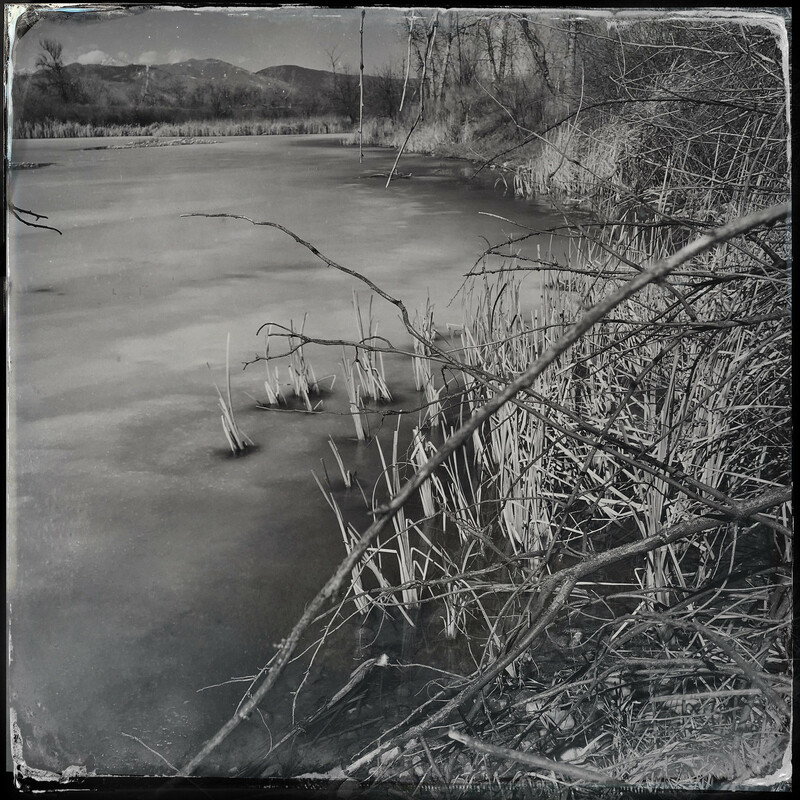 I was drawn to the reeds protruding from the ice-covered pond, accepting their predicament with complete grace, and the movement of the branches in the foreground. The app that I used here is Hipstamatic. The combo is Tejas lens, Gotland film and Triple Crown flash. We have a lot of fog here in coastal Maine and when I wake up and see it, I try to capture it as much as possible. 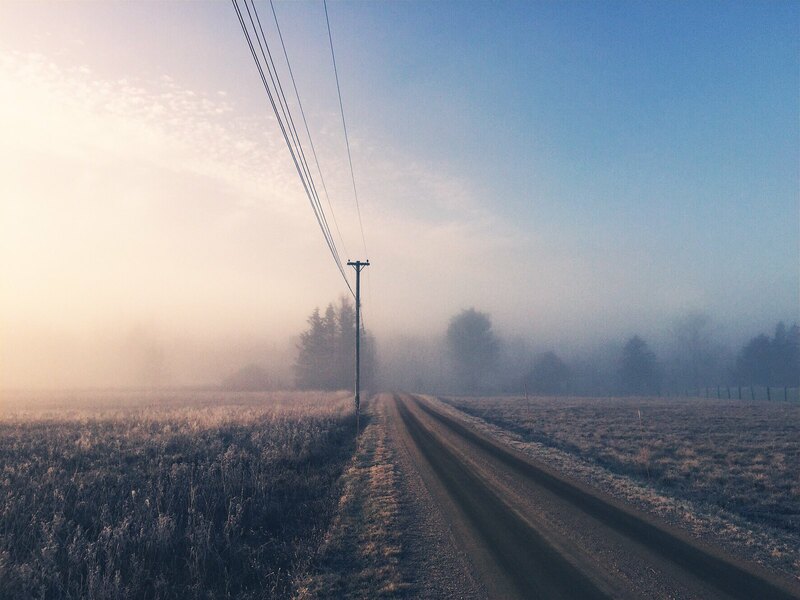 It was early morning, the fog was heavy, and I walked down my driveway. The sun started to burn through and I got my shot. Picture taken with iPhone 6S camera in pano mode and edited with Snapseed. I have been photographing gnarly trees, branches and vines for an ongoing project. I often use my iPhone along with my DSLR to experiment and photograph in a looser manner. On a recent shoot on Maryland’s Eastern Shore, I decided to make some panoramas with my iPhone, just for fun. I used Snapseed to convert to black and white, make local contrast adjustments and to add a bit of diffusion and warmth to the image. These recent panos have introduced a new visual idea that I want to continue to explore in my project. To create this image I used Formulas, Stackables, and Snapseed. Back Story: I am drawn to the unending expression of nature…her mood, her shapes. 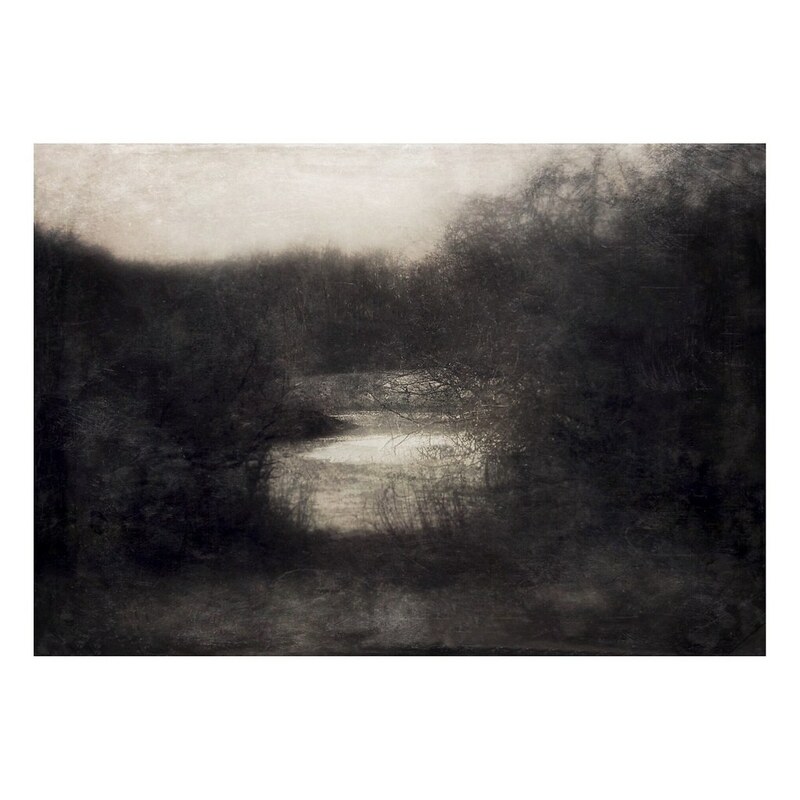 A lot of my work is landscape…a place I visit often or stumble upon in my daily wanderings. This image is of a pond that’s in an open field on one side and surrounded by thicket on the other. I’ve photographed it many times from the open side..but this point of view felt different. The air of being hidden made it feel like a secret…like those swimming holes you’d find as a kid and only share their whereabouts with your best friend. This air of secrecy creates intimacy, a way to entice the viewer in. Backstory: I used the iPhone 7 Plus standard camera in 2x. I found this flower while driving through the range between the mountains of the Big Island of Hawaii. 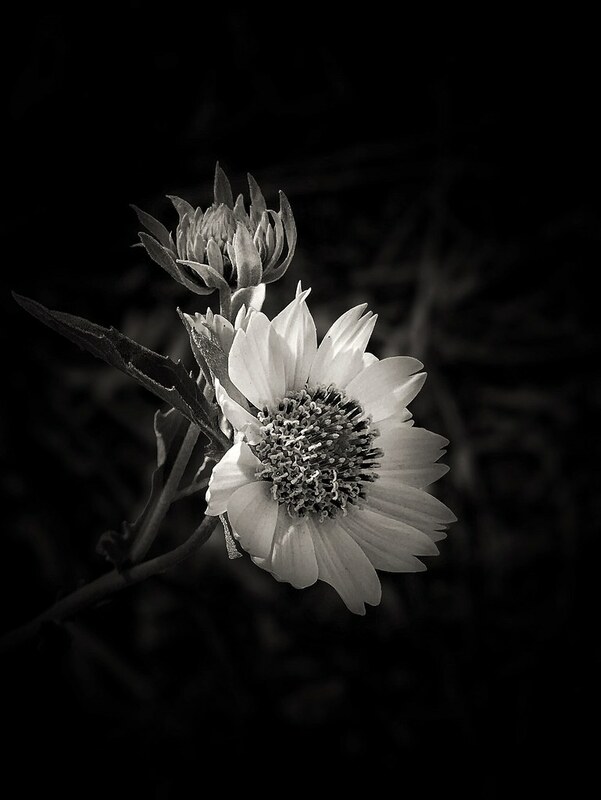 With the light of the midday, this particular flower stood out amongst the field of flowers. Hence, the title “Wildflower Light”. I felt that the BnW version of the image really displays why it stood out. Shot on an iPhone X with Procamera’s Vivid HDR mode. Edited with a Snapseed and Distressed FX. Last Light, The North Meadow was photographed at Adkins Arboretum in Ridgely, Maryland on the Eastern Shore of the state. I’ve been photographing Adkins Arboretum for close to ten years. It’s a quiet landscape that has given me so much inspiration—I have a deep connection to this place. Last Light, The North Meadow was photographed late in the day with my iPhone X using the app Procamera’s Vivid HDR mode. I did some initial photo editing with Snapseed to add some additional tonal range. 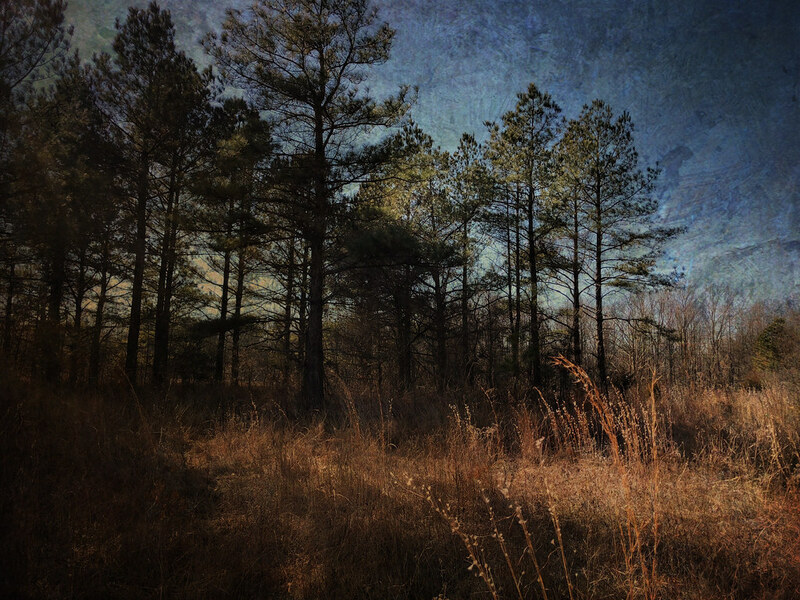 Then, I did some creative post processing with Distressed FX. To add more drama, I brought the image back into Snapseed and used the Brush tool to lighten some of the highlight areas. Apps used-Slow Shutter for iPhone. 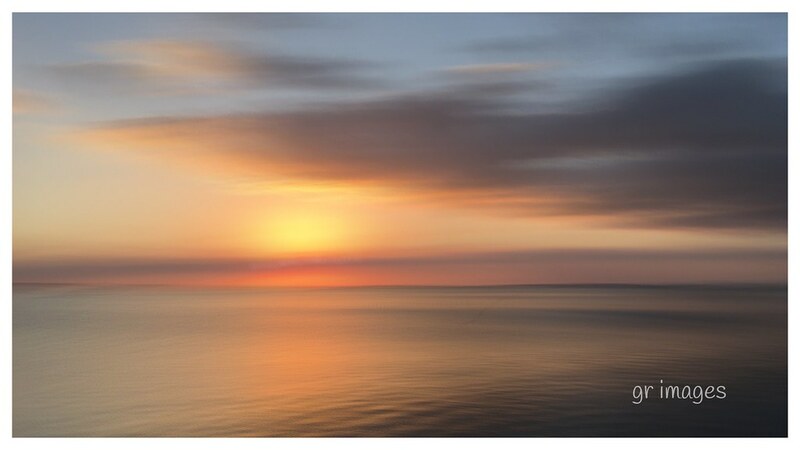 The objective was to capture a painterly version of an overused theme, a sunset. To distance myself from this cliche’ I chose the Slow Shutter app for iPhone. I set the shutter at a one-second exposure with “motion blur” in settings. To maintain a painterly suggestion DO NOT induce “intentional camera movement”. Remember, we are in search of ambiance and atmosphere, not impression and abstraction. Timing, of course, is everything and we are so lucky to be “camera ready” at all times with this remarkable tool in our hip pocket. This was a “straight out of camera”capture, devoid of any editing! Shot using Camera+; edited with Snapseed, Waterlogue and Image Blender. Having just moved to Hawaii and while waiting for my furniture to arrive I was enjoying how the rental agent had furnished the small intimate lanai. The landscapers had just cut back the overgrowth on the lanai such that one could actually sit out and I had just placed an orchid outside to brighten the space. It was a soft overcast day perfect for shooting this space and my friends on the East Coast were asking for pics of my new home. This image was one I made to represent the lovely outdoor space I will be enjoying in my new home here on Oahu.